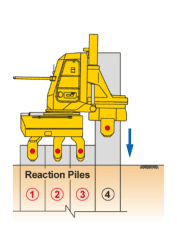 1The Silent customwriting Piler clamps reactionpiles No1-3 and presses-in pile No4. Complete pressing-in pile No4 to the specified height and paying someone to write my essay open Chuck. Move Mast forward and lower chuck turning it for pile No5. 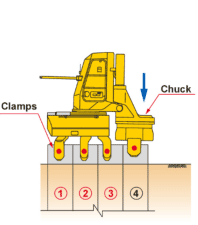 Insert pile No5 into Chuck, align the pile and start pressing-in. 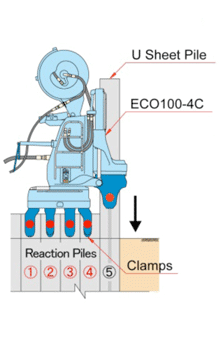 Clamping U reaction Sheet piles No. 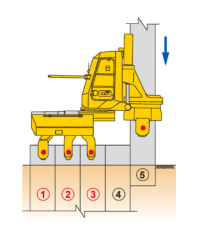 1-4 and pressing-in a pile No.5 fully down to specified depth with water jetting. 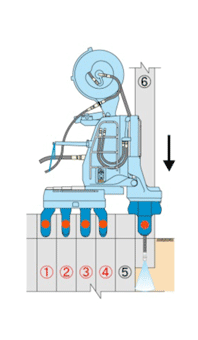 Moving Piler Jet Reel to Hose Extraction Position (A). 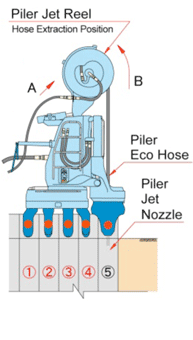 Winding up Piler Eco Hose with Piler Jet Nozzle from the ground (B). 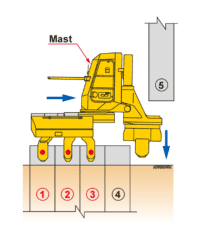 Moving Mast Forward. Pitching a pile No.6 into Chuck. 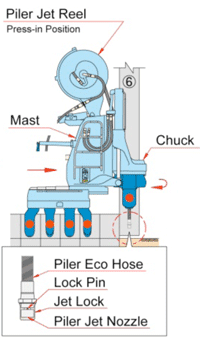 Fixing Piler Jet Nozzle with Piler Eco Hose, by Lock Pin into Jet Lock welded to the pile. Checking verticality and alignment of the pile No.6. Commenching to press-in the pile No.6 with water Jetting.